Faux milk chocolate, made with oat milk instead of the usual rice milk. 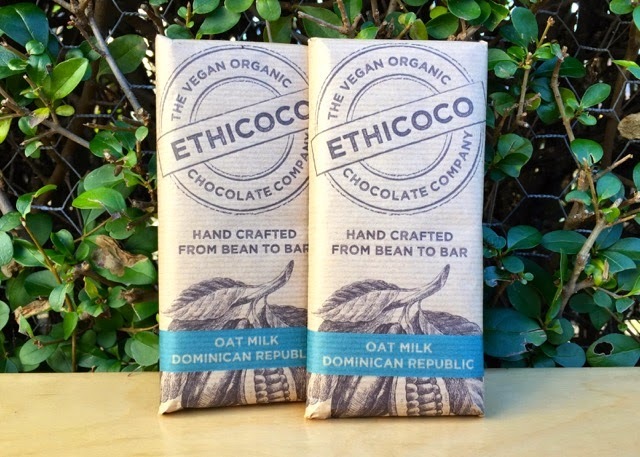 Ethicoco are a startup bean-to-bar producer making all-vegan all-organic fair trade chocolate, from imported beans. The guys at Ethicoco were kind enough to send us a couple of sample bars for our review... and we're excited about it..